My daughter doesn’t cook, but somehow she lucked out- her boyfriend does! Even better, we got included in this round of Cajun Night at his family’s home. Woo hoo! My exposure to Cajun is extremely limited, and what I’ve had I have not liked. I’m glad to say that I have now enjoyed a couple of dishes that I would LOVE to have again. 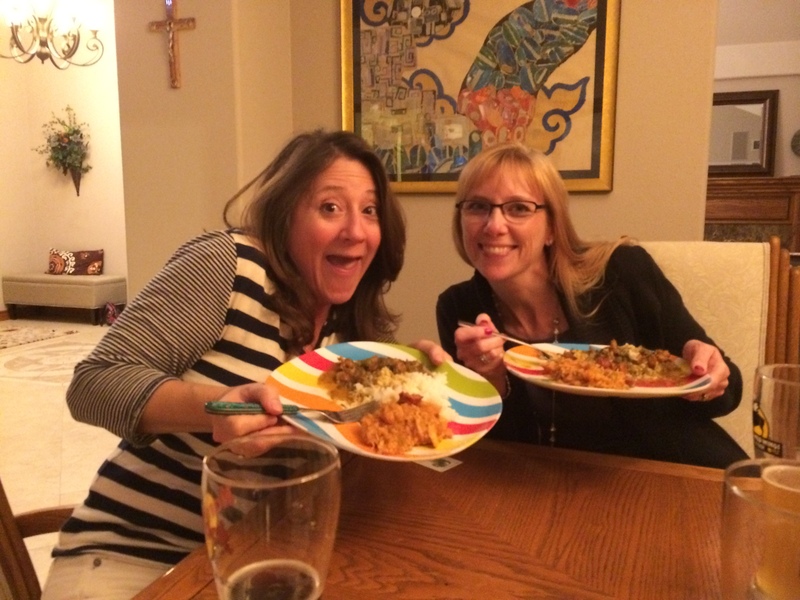 So what wine goes with jambalaya and crawfish étouffée? The adults need something to drink, after all. We skipped the suggested beers that populated the online searches and brought a Viognier to share. Should have bought the Zinfandel, too… Tonight’s bonus- the Hanger 24 stout we had before dinner. I am so very glad that we were able to have dinner together despite how late we kept all the kids up on a school night. We may be bad parents, but at least I found out that I like crawfish! It’s all good. You know what will be fun? Reading this post tomorrow morning after all the wine and stout have worn off. Yep, it’s all good! Cajun food and a really great Viognier… gotta post the name of the wine. The beer (very tasty) was Hangar 24’s Chocolate Porter (http://hangar24brewery.com/co_porter.htm). Should have written down the winery’s name – i really enjoyed the wine as well.